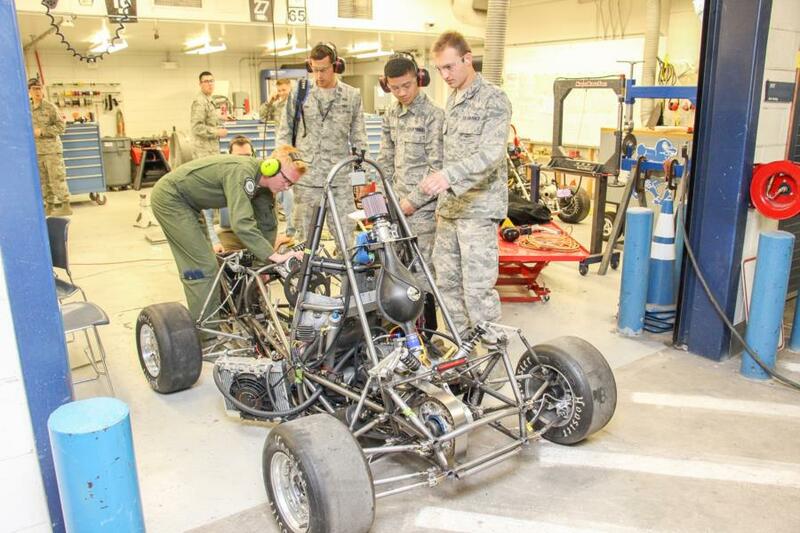 The racecar that the Cadets built this semester left the Academy yesterday for Michigan. 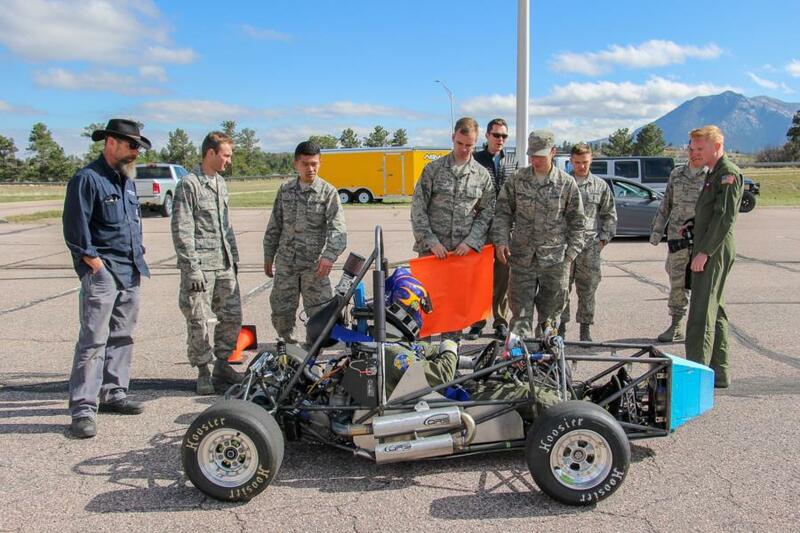 The Cadets will be traveling out there this week to compete in the 2017-2018 Formula SAE Competition from Tuesday through Sunday. 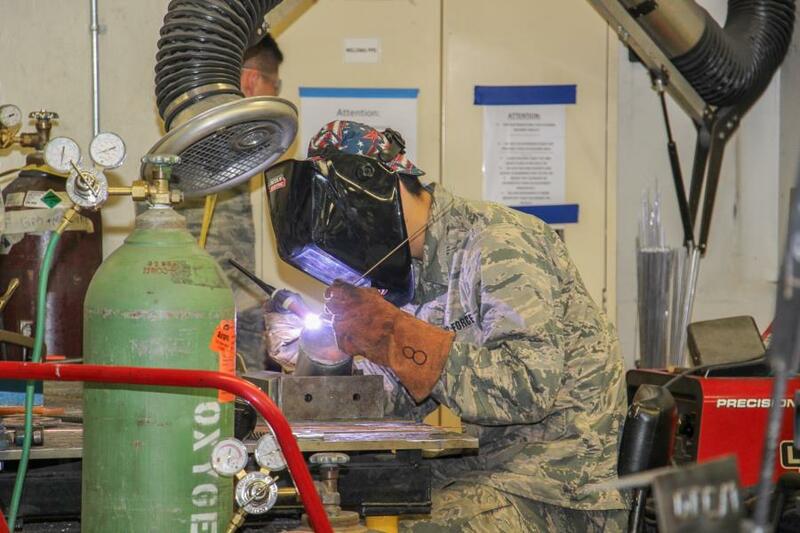 We stopped by last week to see how the team was doing before heading out to the competition! S1.7 is the current car being built. It is a steel spaceframe chassis, powered by a Suzuki LT-R450 single cylinder motor. The engine is run through a Performance Electronics PE-3 ECU, tuned in-house by cadets on our chassis dyno. The car is designed with fully adjustable pushrod suspension. Brake system is a hybrid of Brembo calipers with Tilton Master Cylinders. The interior is completely customizable based off of the driver size. There is an adjustable pedal box, custom seats for the drivers, and different steering wheels. The car features a limited aero package, with the body made of carbon fiber and fiberglass." The Competition objective is to, "challenge teams of university undergraduate and graduate students to conceive, design, fabricate, develop and compete with small, formula style, vehicles," and to "give teams the maximum design flexibility and the freedom to express their creativity and imaginations there are very few restrictions on the overall vehicle design. 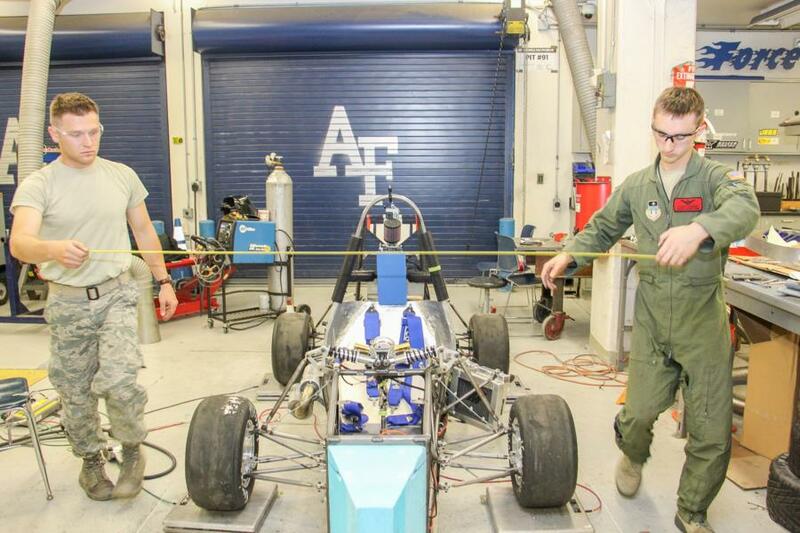 The challenge to teams is to develop a vehicle that can successfully compete in all the events described in the FSAE Rules. The competitions themselves give teams the chance to demonstrate and prove both their creativity and their engineering skills in comparison to teams from other universities around the world." They will be scored in two different categories - dynamic driving and static judging. 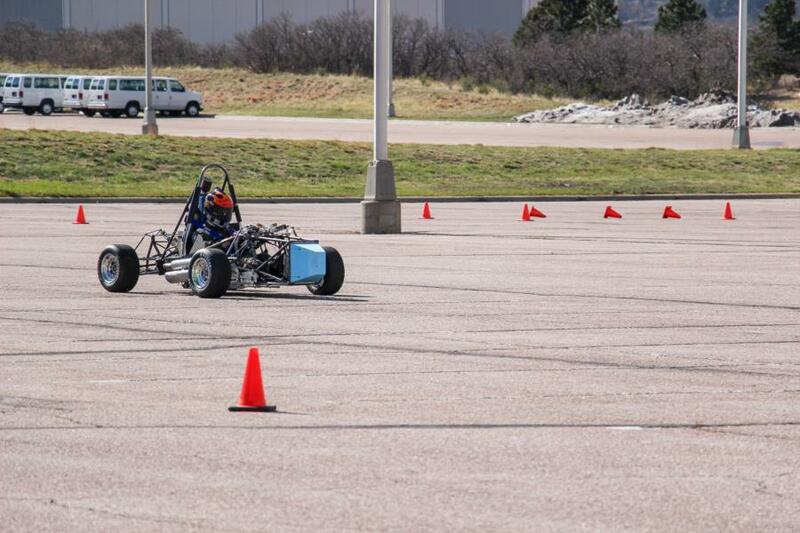 "The cars are judged in a series of static and dynamic events including: technical inspection, cost, presentation, and engineering design, solo performance trials, and high performance track endurance. The dynamic events are scored to determine how well the car performs. Each dynamic event has specified minimum acceptable performance levels that are reflected in the scoring equations."